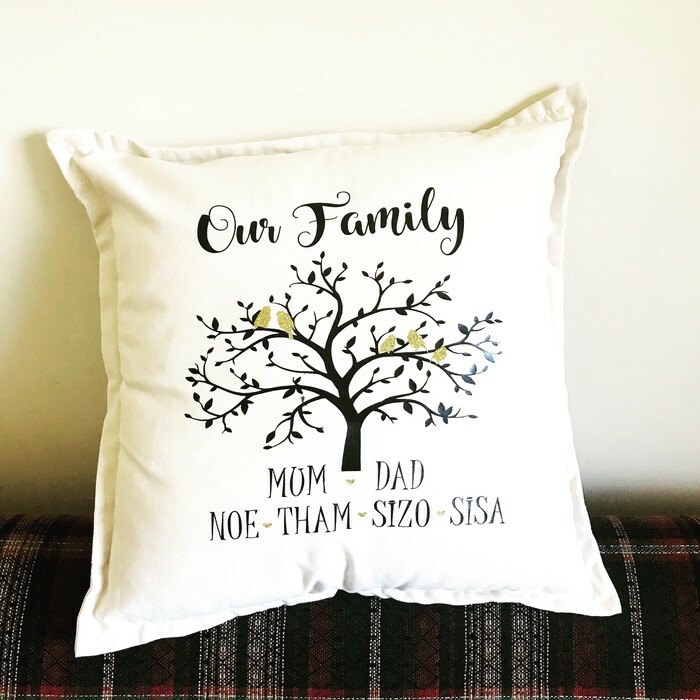 Welcome your guests in style, by jazzing up your couch or bed with one of these personalised, Family Tree Cushions! Or great for a housewarming, birthday, Mother's Day, anniversary, wedding, engagement or any occasion gift! 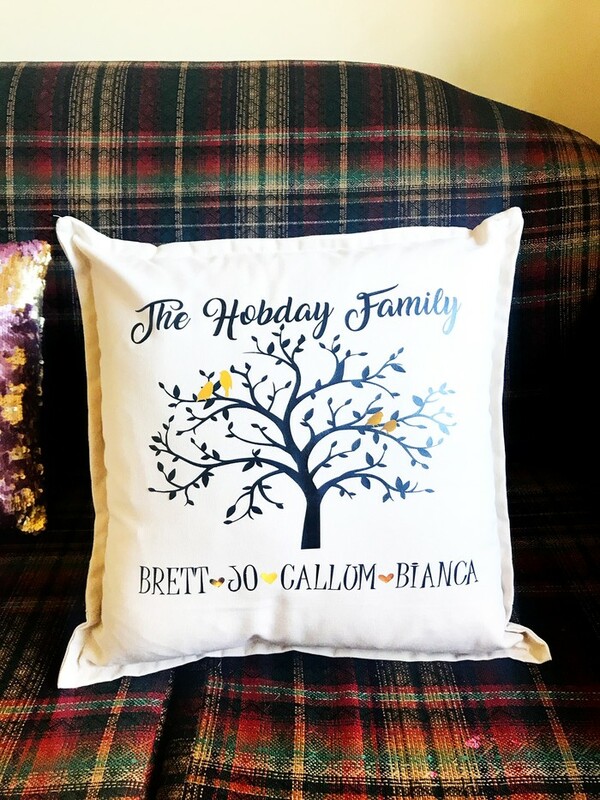 Made to order, The cushion is light grey, the tree & names are in black and the doves & hearts between the names are gold!